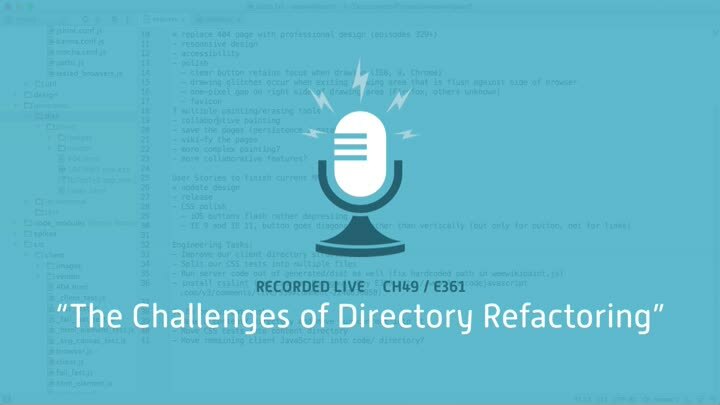 We’ve decided to refactor our directory structure, but this isn’t as easy as it sounds. It’s deeply intertwined with our build system, require() statements, and <script> includes. In this episode, we attempt to unwind the dependencies. We take small steps and make good progress... until we take a step that’s a bit too big.